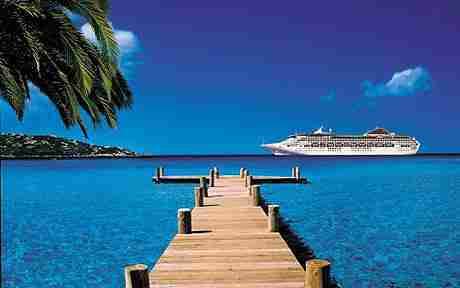 A cruise ship in the Caribbean Sea. 1. A journey on the water is called a gangway lifeboats longest passports pitching rug sails spirits voyage wharf I don't know . The passage (or crossing) from France to England is a short one. 2. The ship is moored in the harbour (or port) along the quay or gangway lifeboats longest passports pitching rug sails spirits voyage wharf I don't know . 3. Passengers embark: they go on board over the gangway lifeboats longest passports pitching rug sails spirits voyage wharf I don't know . 4. The ship gangway lifeboats longest passports pitching rug sails spirits voyage wharf I don't know in due time. The captain gives his orders from the bridge. In fair weather, it is best to stay on deck. 5. If it is cool, one can sit in a deck-chair with a warm gangway lifeboats longest passports pitching rug sails spirits voyage wharf I don't know (or blanket) round one's legs. 6. If there is some gangway lifeboats longest passports pitching rug sails spirits voyage wharf I don't know and rolling, one may become seasick. Not everyone is a good sailor! Some voyages are very long. From London to Singapore, for instance, a liner will have many ports of call where the passengers will be allowed to go ashore. 7. 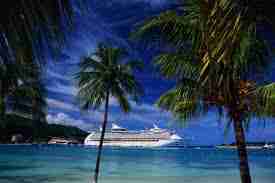 When she reaches her destination, the ship docks and the disembarkment begins. Passengers must show their gangway lifeboats longest passports pitching rug sails spirits voyage wharf I don't know and pass through customs. 8. The customs officer will ask them if they have anything to declare, because many articles like tobacco and gangway lifeboats longest passports pitching rug sails spirits voyage wharf I don't know , are subject to duty. 9. About a hundred years ago in 1912, the Titanic was the biggest ship that was ever built. It was 269 meters long. The ship could carry more than 3000 passengers, but it only had twenty gangway lifeboats longest passports pitching rug sails spirits voyage wharf I don't know for 1178 people. There were 2207 people on the ship for its maiden voyage. Unfortunately, on the night of April 14, 1912, the Titanic struck an iceberg and sank. 10. At the moment, the Oasis of the Seas is the gangway lifeboats longest passports pitching rug sails spirits voyage wharf I don't know and largest passenger ship ever built by gross tonnage and passenger capacity. Length: 360m, Breadth: 60m, Height: 72m above the water line. Recently, the cruise ship Costa Concordia partially sank on the night of 13 January 2012 after hitting a reef. Thirty people are known to have died.